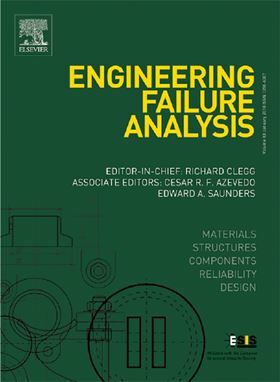 The research article 'Failure analysis of centrifugal pump impeller' has been published in Elsevier journal Engineering Failure Analysis. This paper analyzed the looseness failure between impeller and shaft. In order to determine the cause of the failure, the torque produced by external loads was calculated theoretically. The torque capacity of interference connection was analyzed using finite element method (FEM). The basic mechanical properties of different impeller were tested and applied to the FEM model to find out the influence of mechanical properties on interference connection between impeller and shaft. The analysis results indicate that interference connection condition is greatly affected by mechanical properties. The torque capacity of interference connection decreases with the mechanical properties decrease. The maximum torque transmitted by interference connection being lower than resultant resistance torque is the main reason of looseness failure between impeller and shaft. Premature fracture failure of a boric acid pump shaft was studied by material inspection, macro and micro observation and mechanism analysis. The surfactant effect on air/water flow in a multistage electrical submersible pump was studied. A hydraulic pump degradation experiment was conducted to verify the proposed method.